Recently another work from home program that “promises” to help you make real money online free caught my attention and it is called the Freebie Money Printer. It caught my attention to the point I knew I had to do a review on it so others could know whether or not the Freebie Money Printer Program is legit or if it is another scam. I took a different approach to doing this review and this time I made sure to put myself in your shoes. I was once there after all, struggling to make good money, homeless when a website offered me the solution to my problems: the chance to make a ton of money by doing little to no work. However, did Freebie Money Printer live up to these expectation or did it fail to deliver on its promise? Without further ado here is my Freebie Money Printer review. Now before I get fully into these details there is something you should know. The Freebie Money Printer Program is very similar to many other programs out there such as Instant Rewards, Project Payday, Instant Payday etc. This programs works by you completing trial offers and then referring people to do the same so that you can make a couple of bucks here and there off of it. There are too many programs like this and I feel bad for the people who fall for these. -Not really free. Each trial offer may require your credit card information or a small fee in order to be credited for that offer. 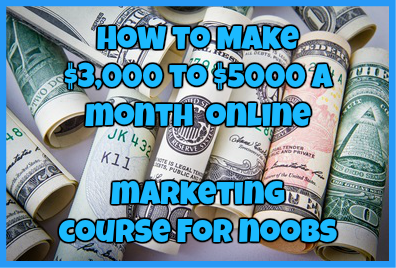 -One of the hardest ways to make money online especially if you do not know how to market. -No support system or sponsors around to help you. Freebie Money Printer Review: Who Is It For? The Freebie Money Printer Program is specifically designed for any person looking to earn money online. However, this program is targeted more to those looking for real work online and unfortunately those are the people who do not make a single cent from this program. 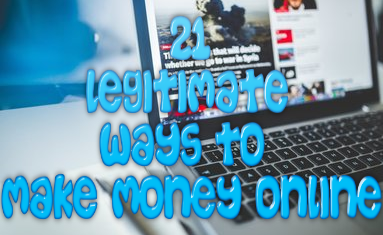 It can however be a great money maker for those who have adequate marketing skills. Ok, so back to what happens after you sign up after this program. The moment you are brought to the trial offers, you will need to complete as many as you have to in order to receive 1 credit. You need just 1 credit to start earning money from your referrals and for some, you may have to pay out of pocket for your credits. Now trial offers are exactly what they sound like: you sign up to “try” and offer and you have to remember to cancel the membership before you are charged fully for it. This is something that can be annoying for many people and the fact that you need an actual credit card can raise a red flag for some. After you complete your trial offer you can then begin referring people to do the same so you can earn money from it. There are a variety of ways that you can refer people to this program such as by using Craigslist, BackPage or even social media outlets. However you decide to bring people into this business is completely up to you. For this program you will need to understand that free doesn’t necessarily mean free. The price of this program will depend on how much you are willing to spend on an offer on the off chance that you are unable to qualify for a free one. The price can range from as little as $1 to $15.00. This program reminds me of programs that are very similar to this one such as Instant Payday Network and Instant Rewards Network. While there is certainly some potential that you can make money with a program like this, it is far from easy and there is no guarantee. In my honest opinion there are better programs out there to make real money online free with and a program like this is more likely to make you broke than to help you make some money. Stay away from this program and focus your attention on a program that will help you gain some kind of financial future. Have you been scammed by the Freebie Money Printer Program? Want to share your story with me? Drop me a comment below. Is-Leader.com Review: Should You Invest?